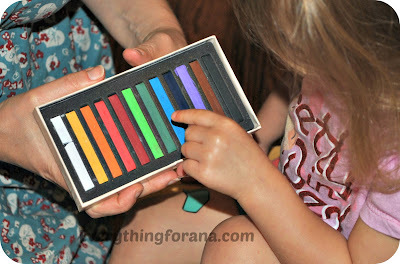 Everything for Ana: Review and Giveaway: Kisspat Hair Chalk Colorful and Fun! Review and Giveaway: Kisspat Hair Chalk Colorful and Fun! Recently Ana and I received a box of really cool hair chalk from Kisspat and we have been busy trying out all of the colors. 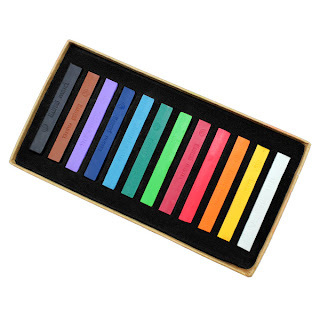 My faves so far are the purple, and blue and they look amazing in Ana's blonde hair. They are super easy to use too. ﻿1. 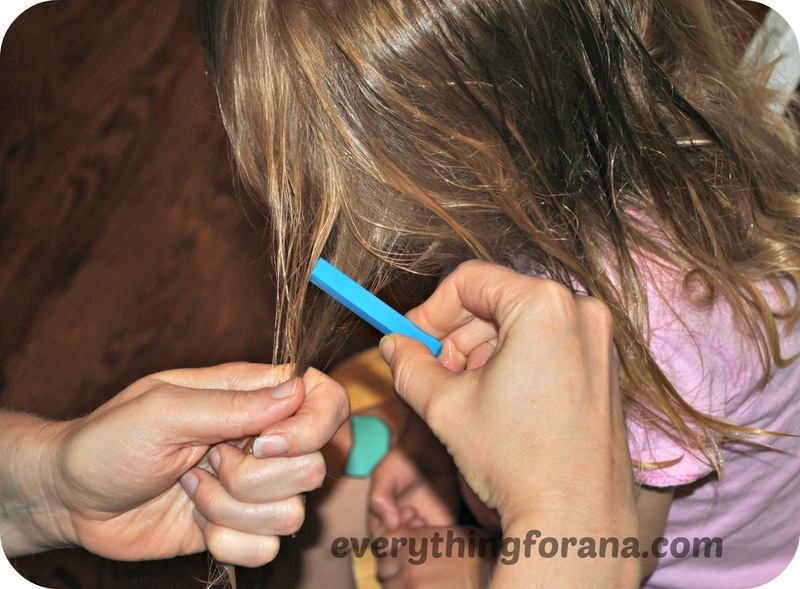 Wet your hair where you would like to apply the color or colors. 2. 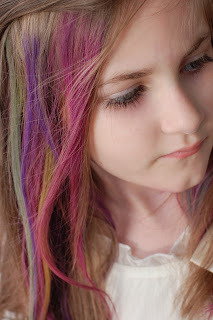 Rub the pastel on the damp section of hair. or 4. You can also do this with dry hair, just wet the pastel and rub onto your hair﻿. which color will she choose? 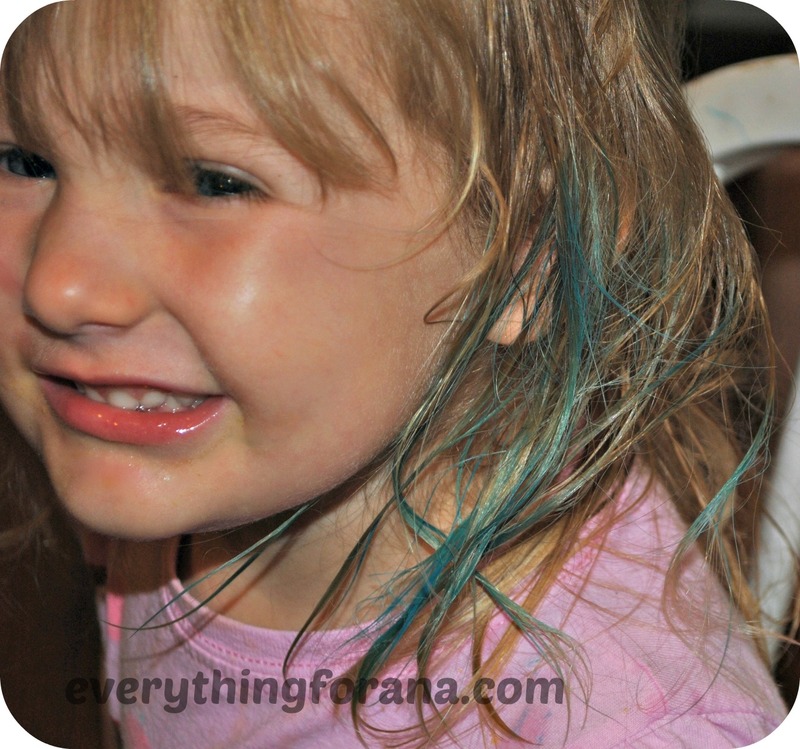 Color the wet hair with the chalk. 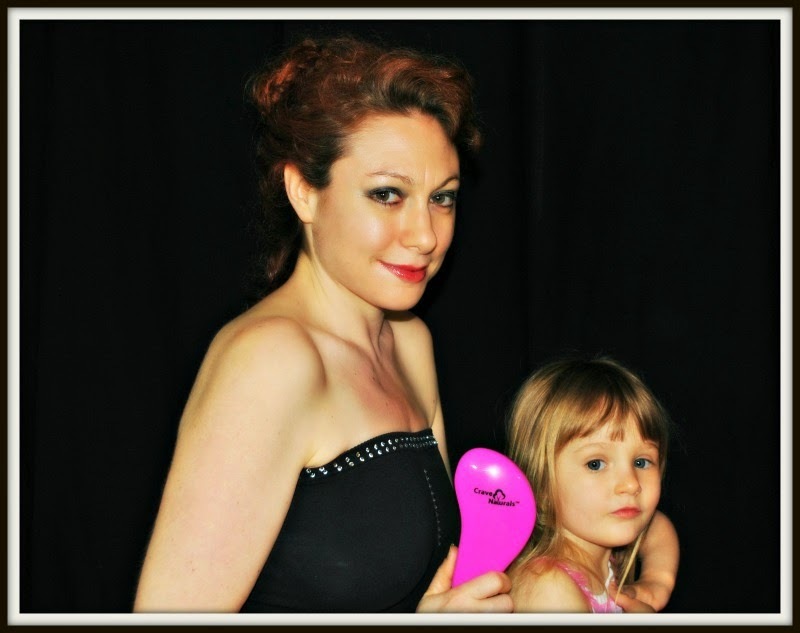 Rubbing it up and down, until you see bright color adhere to the hair. And voila, blue!! Love it..so cute. Have you ever tried Hair Chalk? What to know more? Hair chalking is the latest trend this season. 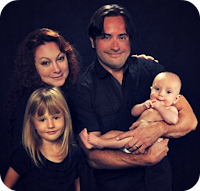 No commitment, an affordable price and easy to use! They wash out easily , no muss, no fuss. We had a really fun time playing around with the many colors. 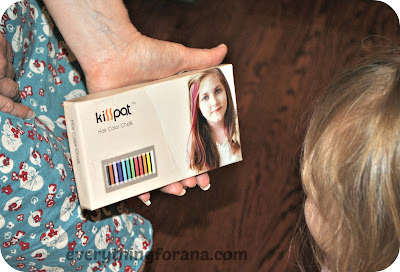 I don't know why, but my boys love the commercials for these hair chalks. They tell me that I should get them every time they see one. I think I'd put some purple or pink in my hair, and I'm sure the boys would want to rock some green or orange. Thnx! I would probably do pink and purple first! Ana's Latest Photo shoot, Almost 3 Years Old! !